One scholarship is offered each year for enrollment in the Stanford Sloan Master’s Program, a 10 ½ month, full-time program leading to the degree of Master of Science in Management. One of three degree programs at the Stanford Graduate School of Business, the Stanford Sloan Program provides an ideal learning environment for successful mid-career executives who are preparing for greater levels of leadership and responsibility within their organizations, or who may be choosing a new career path. Stanford Sloan Fellows come from over 20 different countries, sharing personal and professional insights based on their years of significant work experience (minimum of 8). The small class size coupled with the collaborative nature of the Program creates a wonderful dynamic of shared learning. Furthermore, the Business School takes advantage of interdisciplinary collaboration among Stanford’s seven schools to fuel discussion of innovative solutions to pressing business and global issues. 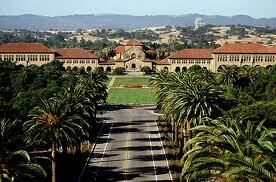 Applicants should have (a) a confirmed acceptance at the Stanford Sloan Master’s Program; (b) an excellent academic record with a first degree equivalent to a good Second Class (Upper) Honors or higher or a GPA of at least 3.5; (c) a very good command of the English Language including a TOEFL (100 minimum on iBT); (d) GMAT score (no minimum score required, but careful preparation is highly recommended); (e) at least eight years of full-time work experience, including five years as a manager; and (e) assessed to have outstanding potential for leadership in government, business, or civil society after graduation. Each fellowship is tenable for 10 ½ month only for full-time students on the Master of Science in Management program. The successful candidate is expected to complete his/her studies within the tenable period. Demikian kami sampaikan tentang Ancora Foundation Graduate Fellowship, Stanford University, USA semoga informasi tentang Ancora Foundation Graduate Fellowship, Stanford University, USA ini bermanfaat.